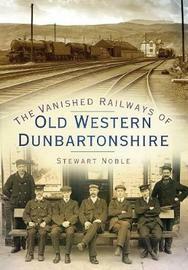 Illustrated with 200 photographs, this book depicts the rich scenery and history of the old Western Dunbartonshire railway, which stretched from Clydebank with its shipyards and other heavy industries to the north end of Loch Lomond, now part of Scotland's first National Park. 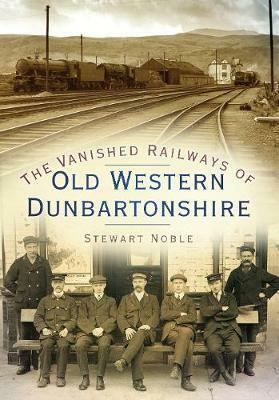 The railways which served this area reflected its landscape; some, such as the West Highland Railway, are still in use, although parts have been lost and the nature of traffic today has changed substantially. Other routes have disappeared completely - thus today's commuters on the busy electric train service from Helensburgh to Glasgow are frequently unaware that an alternative route existed for much of its length. An extensive network of industrial railways, often running along cobbled roads, has vanished. A railway which meandered eastwards from Balloch to Stirling across the flat farmlands to the Forth Valley was closed to passengers in the 1930s, and a short but busy branch from the West Highland Railway, built during the Second World War to service the military port at Faslane on the Gareloch, has also been taken over by the overgrowth. Other parts, now disappeared, had been built to bring the workers of the Glasgow area down to the fresh air of the coast or the lochs for a trip on the paddle steamers. This book will be a treat for anyone who remembers the golden age of trainspotting, and for anyone keen to capture the essence of those bygone days.